Mexico is quickly being recognized as a hub for emerging contemporary art but also is noted for its rich history or traditional art. 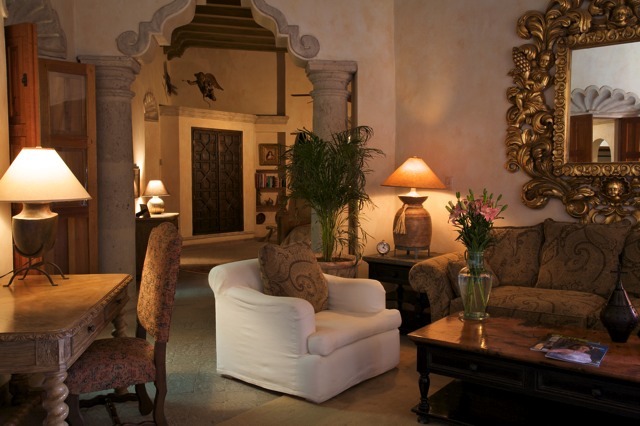 Mexico Boutique Hotels, a full service online hotel collection specializing in extraordinary boutique properties, highlights tucked away hotels that incorporate art in various ways, from art galleries exhibited within the hotel, art tour packages, recommendations for local galleries and more. 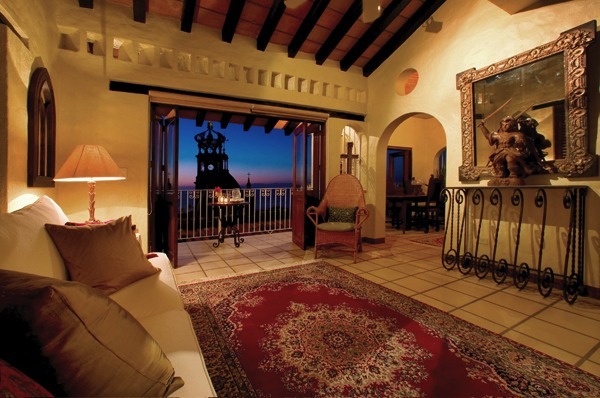 The 16-room Hacienda San Angel located in downtown Puerto Vallarta, is a restoration masterpiece of several classic-style houses overlooking the expansive Banderas Bay. The hotel houses a vast and prestigious collection of antiques, one-of-a-kind artifacts, and authentic artwork from large original oil paintings circa 1560 through mid 1900’s, and other exquisite rare relics. Downtown Puerto Vallarta has a number of art galleries featuring contemporary local artists. A popular Art Walk is hosted every Wednesdays from 6-10pm (October to April) highlighting two of the hotels favorite spots, including Galeria Uno a pioneer in the PA art world, and Galeria Pacifio, known for exhibiting art from Mexico City, Oaxaca and Guadalajara. Relax in a beautifully restored 17th century 27-room hacienda just blocks from the main plaza, mercado and cathedral in the colonial gem of Alamos. The elegant property also features three swimming pools, two putting greens, a theater, a Revolution-era cantina and a full-service spa. The Hacienda is a Mecca for art and architecture students with seminars often held by experts in various fields. Local artists frequently paint at the hotel, among them Richard Murphy, Catherine Callingham and Millard Davidson. 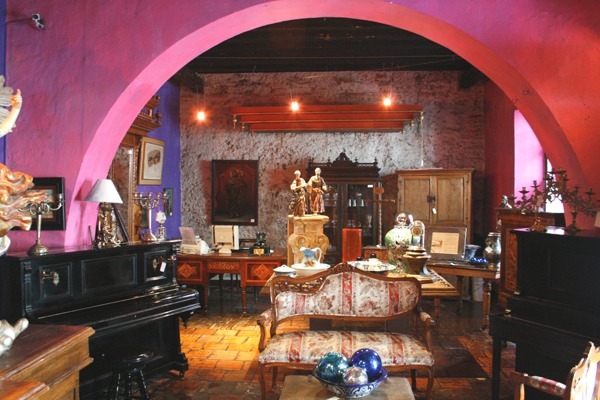 In addition, the hacienda houses one of the finest private collections of retablos in Mexico, with prominent religious pieces from statues, to Ex-Votos and oil paintings dating back to 1500’s with a selection for sale in the Galeria. The well-known Mexican wood carver, Augustin Parra, created several carved mirrors for the suites, as well as two large gilt figures for the stage of the Teatro. La Quinta Luna is a 17th-century mansion converted into a beautifully intimate seven-room retreat located in Cholula, the American continent’s oldest city. The hotel features a gallery of over 40 original contemporary artworks by renown Mexican artists including Federico Silva, José Lazcarro, Gerardo Brito Ramos, Fernando Camino, Raymundo Sesma, José Bairo, Mario Benedetti, Germán Montalvo, and many others. The hotel can arrange the sale of work directly with the artist from oil painting, prints, lithographs, to sculptures. In addition, the hotel offers an Art Tour package starting at $395 including accommodation. The tour includes visits to talavera pottery workshops and studios of contemporary artists along with an a la carte dinner at the hotel’s acclaimed La Antigua Capilla restaurant. 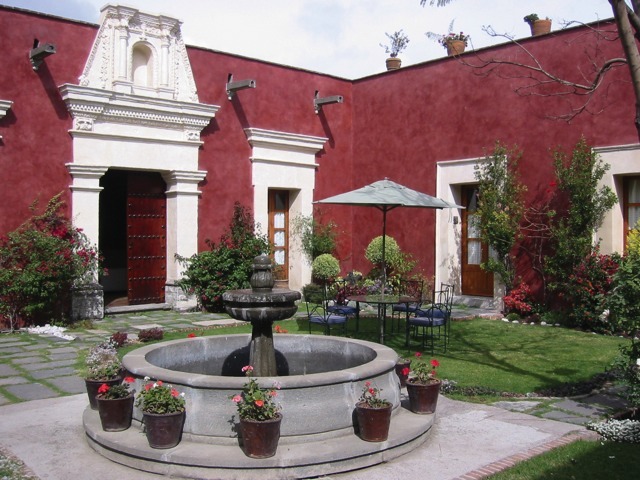 This intimate eight-room 19th century colonial hotel is located in the heart of Puebla’s historic center. The property itself acts a gallery where all the décor and furnishings from fine antiques, reproductions, and traditional crafts can be purchased. The galleries currently shows works from the famous painter Jalicience Chucho Herrera, Jose Maria Velazco, Jesus Reyes Ferrerira and other international artists. In addition, Meson offers an “Art Experience” package that includes six nights in a Junior Suite, a 15-hour in- studio workshop in Talavera pottery making including materials, passes to two prominent museums in Puebla, a tour of the historic center, daily breakfast, ans lunch or dinner in Meson Sacristía de la Compañía Restaurant. The package starts at $1,300 per couple, tax included. Established in 1999, MBH is a collection of upscale, independent member properties (located in 25 destinations throughout Mexico) handpicked for their intimacy, high level of service and outstanding attributes. Some are housed in exquisitely restored buildings, others are paeans to Mexican cuisine, still others showcase the sleekly modern–but they each encourage guests to savor the many fascinating traditions of this vast country, and all offer guests a unique travel experience. Typically less than 30 rooms in size, they are often destinations unto themselves. Based in Puerto Vallarta, MBH is staffed by an experienced team of multicultural—and multilingual—travel and hospitality professionals who both live and work in Mexico.